Evansville, IN. 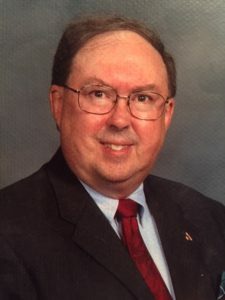 – John Lee Keller, 67, of Evansville, Indiana passed away on Sunday, October 28, 2018 at the Heritage Center in Evansville, Indiana. John was a former local pastor at Patronville United Methodist Church and a teacher at Branchville Correctional Facility. He was also a long time member at Methodist Temple in Evansville where he was active in the church choir and Open Circle Sunday School Class and was also heavily involved in Tristate Tres Dias. He is survived by his sisters, Anita Keller (Tony McGlothen); Mary Ray (Johnny); niece, Chelsea Ray; nephew, Jason Ray (Alexandria Cherry). Services will be at 11 A.M. next Saturday, the 10th of November, 2018 at Methodist Temple UMC in Evansville, Indiana. Visitation will be from 10 A.M. until the time of service.